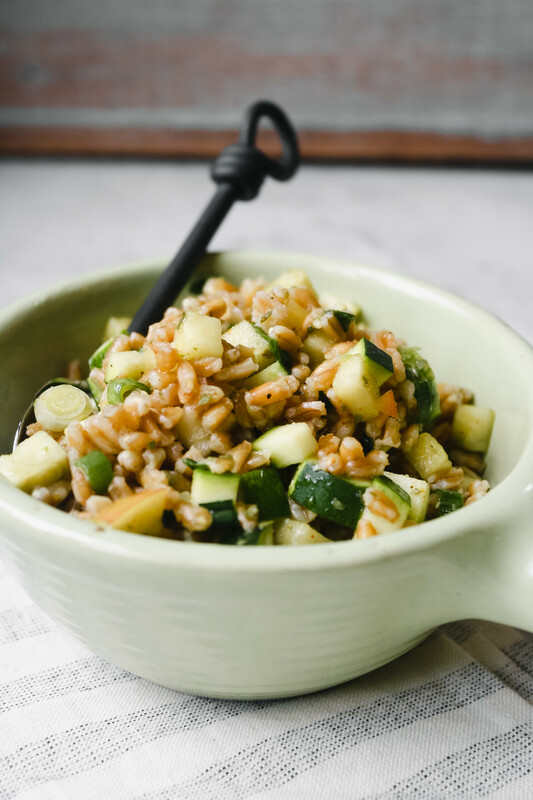 This summer farro salad with zucchini is easy to make and full of contrasting flavors and textures. Bites of crisp/sweet apple intermix with the tang of white balsamic vinegar, basil and tarragon. Ready in just 30 minutes, this healthy summer farro salad is the perfect side dish for feeding a hungry crowd. It also keeps well in the fridge, which makes it perfect for your weekly meal prep! 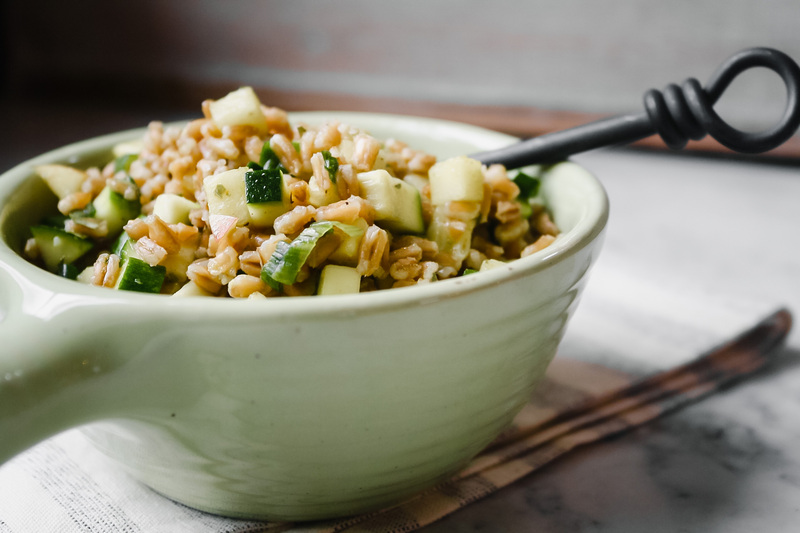 What goes with summer farro salad? This farro salad goes really well with a variety of main dishes, here are some of my favorites! 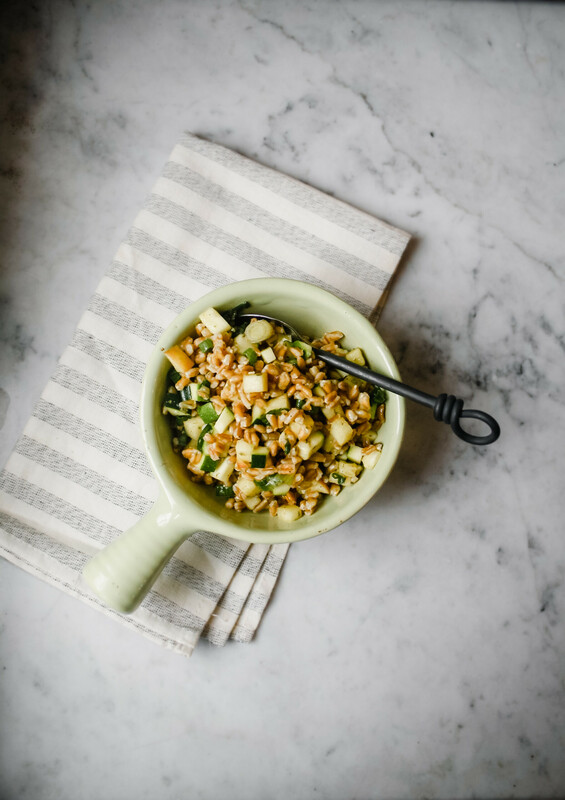 Fresh and healthy, this summer farro salad with zucchini is packed with flavor from fresh herbs and sweet crispy apples! Cook farro according to package directions; drain and reserve any remaining cooking liquid. Meanwhile, whisk together oil, vinegar, garlic, cayenne, salt and pepper in a large bowl for the vinaigrette. 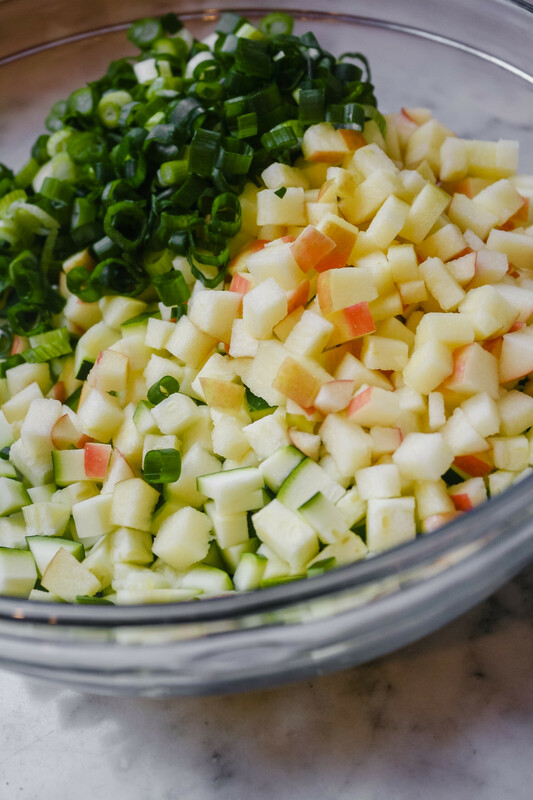 Add zucchini, apple and scallions to vinaigrette. Add farro to bowl with zucchini mixture and toss to combine. Add cooking liquid, by tablespoon, until desired “sauciness” is reached. Stir in basil and tarragon; season with salt and pepper to taste. Serve cold or at room temperature, keeps refrigerated for up to a week. If you’re short on time, use Trader Joe’s 10-Minute Farro, it’s almost as tender and chewy as regular pearled farro, but cooks in a fraction of the time.